"Writing is an exploration. You start from nothing and learn as you go." (E.L. Doctorow). 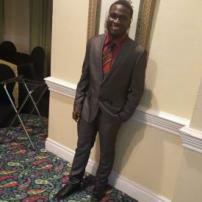 Hello everyone, I am a student at the University of the West Indies where I study Applied Chemistry with a minor in Management. In my spare time, I enjoy watching and writing about various TV series, Movies and Anime series. I enjoy writing and I hope you find my articles engaging, entertaining and informative. Happy reading! !